Whipping up quick meals is a cinch when you have your favorite prepared marinara sauce on hand. Spuds, vegetables, and chicken breasts are transformed when topped with sauce and a sprinkle of cheese. Make whole wheat English muffin or bagel pizzas or add the sauce to meatloaf. 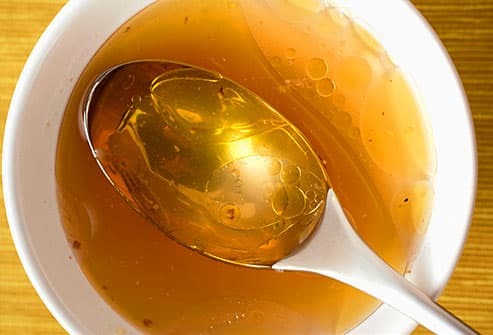 Read nutrition labels to find out the amount of calories, fat, and sodium in your sauce. You can jazz up your sauces with extra herbs and vegetables. Super-healthy potatoes are a pantry must. They are low in calories and high in fiber, vitamins, and minerals. Sprinkle crunchy baked sweet potatoes like these with cinnamon. 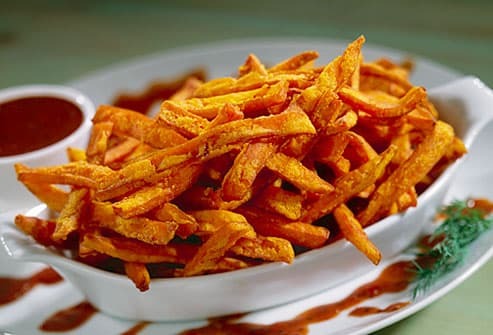 Baked white or sweet potato french fries are superior to their deep-fried cousins. Make mealtime magic by topping a baked potato with vegetables, cheese, beans, salsa, chili, or whatever you have on hand. Make sure your pantry is stocked with a variety of beans. 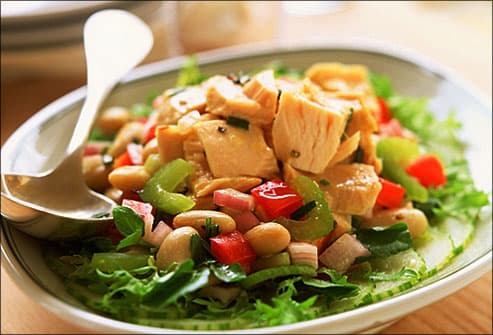 Whether dried or canned, beans are an inexpensive alternative to animal protein. They're also an excellent source of fiber. Serve them as a side dish or add them to soups, omelets, tacos, casseroles, or salads. Thoroughly rinsing canned beans can slash sodium content by 40%. 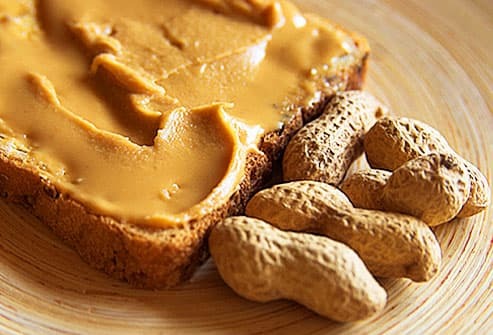 A perennial favorite of kids and adults, peanut butter is a comfort food that's found in almost every pantry. It's a great source of filling protein and healthy fats. Beyond sandwiches, spread it on apples, bananas, celery -- even waffles! You can add it to smoothies or use it in dips. Mix it with hot water and a splash of soy sauce for a flavorful Asian-inspired pasta sauce or salad dressing. 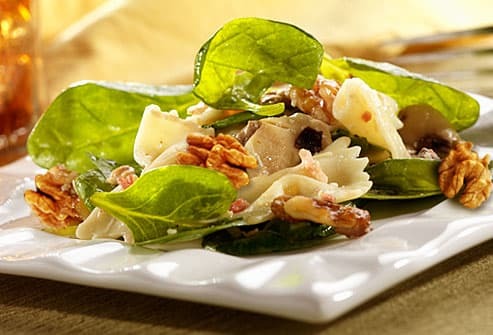 A family favorite, pasta goes with virtually all meats and vegetables. It comes in a variety of shapes, sizes, and colors to help make meals more interesting. Get more fiber by choosing whole-grain or whole-grain blend pasta. 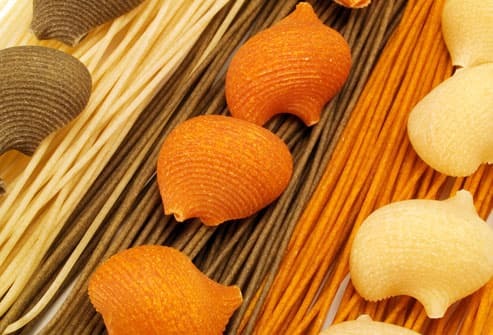 Add dried pasta to soups and casseroles. Clean out the vegetable bin and make a nutritious pasta primavera or stir-fry. Or top pasta with meat sauce, pesto, or plain olive oil. You'll want to taste the fruity, peppery flavor of extra-virgin olive oil. Use it to dress salads, and grains. 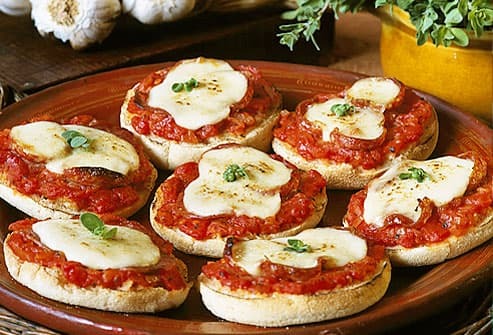 Drizzle it on pasta dishes or on crusty bread and diced tomatoes to make bruschetta. Canola oil performs best in frying pans and woks. Both of these heart-healthy oils lower certain disease risks and are preferable to solid fats like butter. 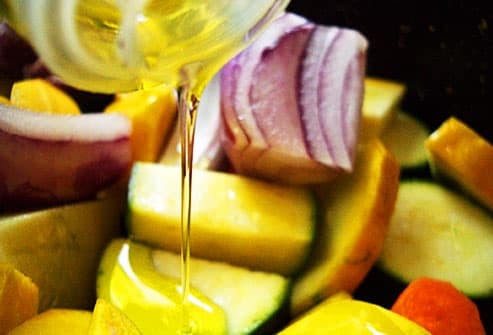 Use either oil to sauté vegetables and meat. 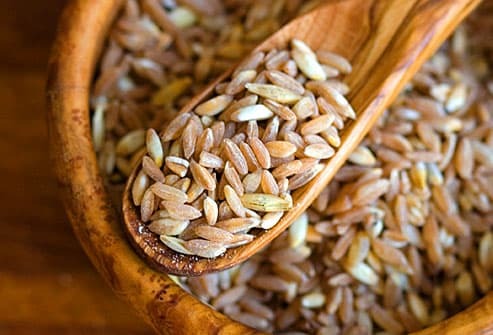 Brown rice is a healthy, high-fiber whole grain. Couscous, bulgur, and farro are available in whole-grain versions, too. These versatile grains complement any meat, fish, poultry, or vegetable as a centerpiece or side dish. Couscous, bulgur, and the seeds of the grain-like plant quinoa can be cooked quickly. 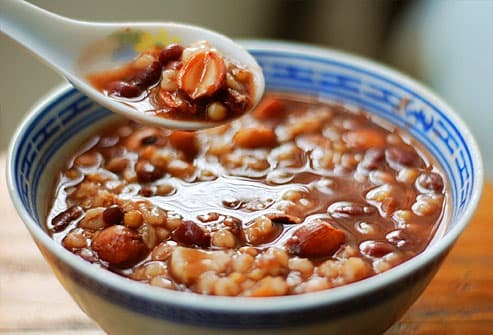 For richer flavor, cook grains in broth or stock. Combine them with colorful vegetables, nuts, and seeds. Having canned tomatoes on hand can make life a lot easier when you're creating quick and healthy meals. 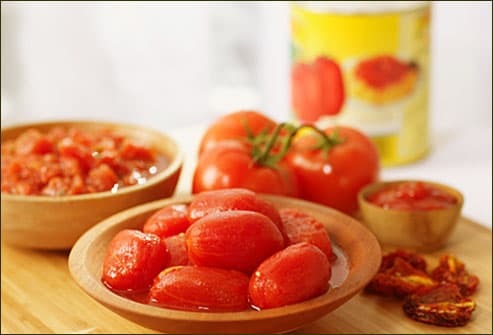 Tomatoes are rich in lycopene and vitamins A and C. They work in a variety of dishes, like soups and casseroles. And of course, they're delicious. Spike them with basil and other herbs to use as a quick sauce for pizza, meats, pasta, or whole grains. Choose tomatoes with no added salt. Don't think of nuts as just a party food. They're an excellent source of protein, fiber, good fats, and other healthy nutrients. If you regularly eat nuts as part of a healthy diet, you may reduce your risk of heart disease. Nuts pair well with sweet and savory foods. Use unsalted nuts in hot or cold cereals or as a meat alternative in pasta, grains, salads, or vegetables. Eat them with fruit or yogurt, in desserts, or as a nutritious snack. In a perfect world, you'd have time to make your own stock from fresh meat or vegetables. (Homemade stock allows you to control the salt in your cooking.) If you don't have enough time, buy low-sodium or unsalted chicken, beef, or vegetable stock to add depth of flavor to your dishes. Use it as the base for a quick soup or sauce. Rice and whole grains may taste richer when cooked in stock instead of water. Rich in nutrients, loaded with antioxidants and fiber, and low in calories, fruit belongs at every meal. 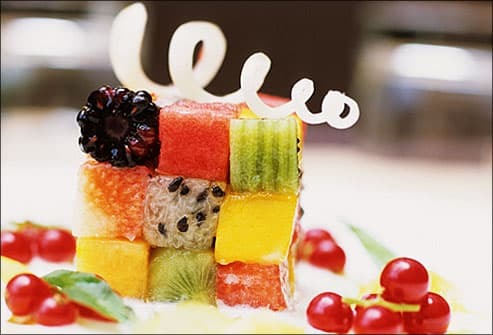 Canned fruit (which is just as nutritious as fresh or frozen if canned without sugar or syrups) makes a delicious snack or dessert alone or over yogurt, ice cream, or waffles. Dried fruit adds pizzazz to salads, cereals, and fish, and goes well with nuts for the perfect healthy snack. Center for Science in the Public Interest Nutrition Action HealthLetter.